For the brides that dream of a wedding away from the crowds, in a rainforest, a boutique vineyard or a farm-paddock with stunning views: the Scenic Rim is the wedding destination for you. 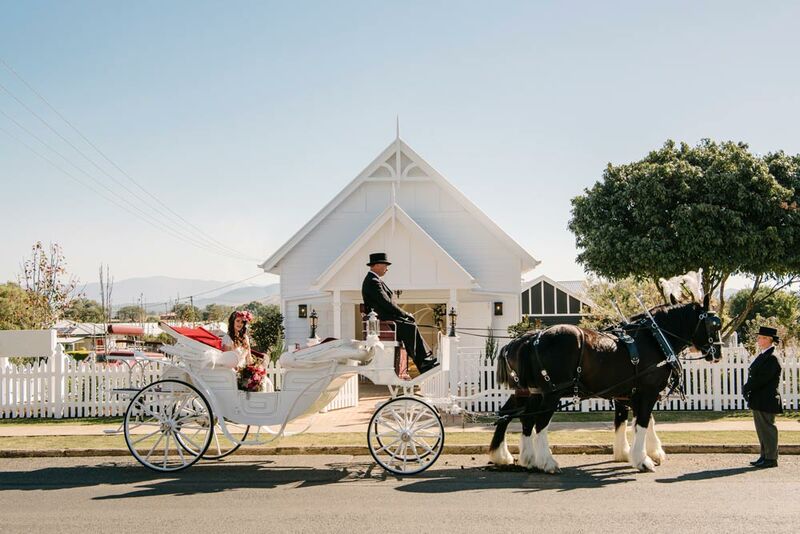 Whether you’re having an intimate celebration, a grand wedding or something in between, we’ve put together our guide to the ultimate scenic rim wedding. 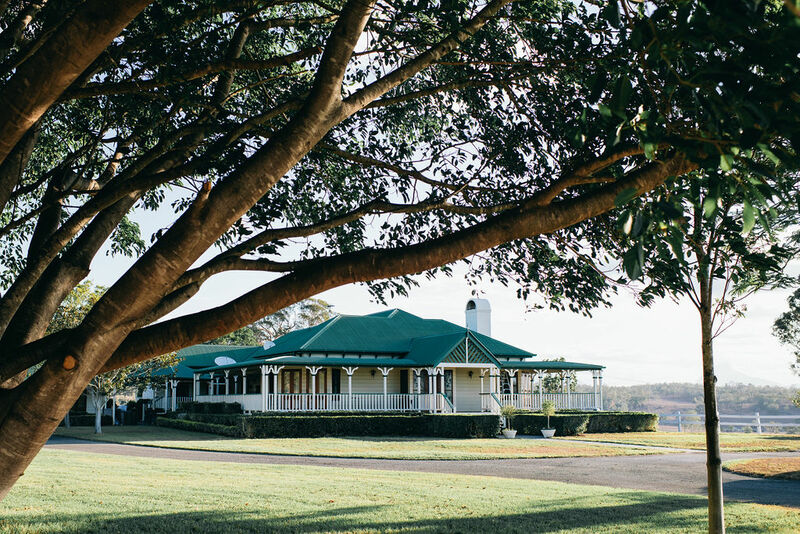 The ultimate luxury country wedding destination, Rosewood Estate is a short 75-minute drive from Brisbane and features stunning views over the Gold Coast. Couples that choose Rosewood Estate for their wedding get a complimentary 2 nights accommodation at the estate’s beautiful Rosewood House. 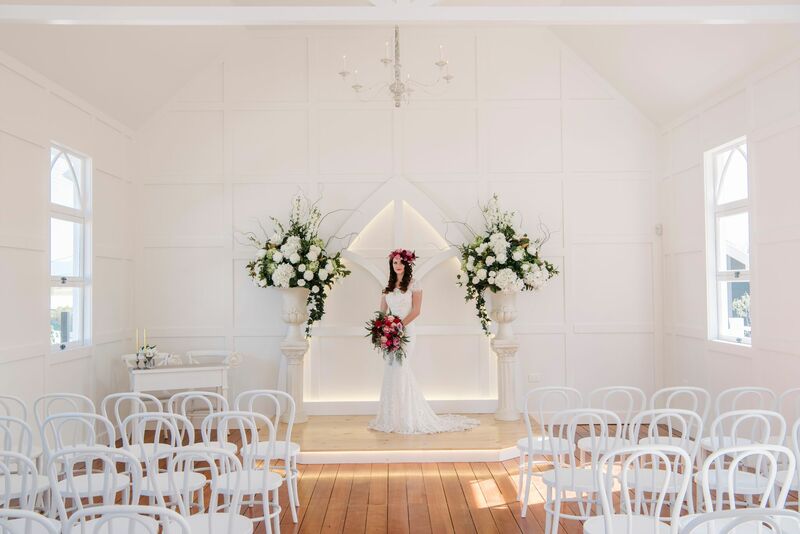 A stunning 134-year old church that has been transformed into a country-chic wedding chapel, White Chapel Kalbar is the perfect spot for a wedding reception. With lots of options to suit every couple and catering provided by Cuisine on Cue, this venue is sure to impress guests. 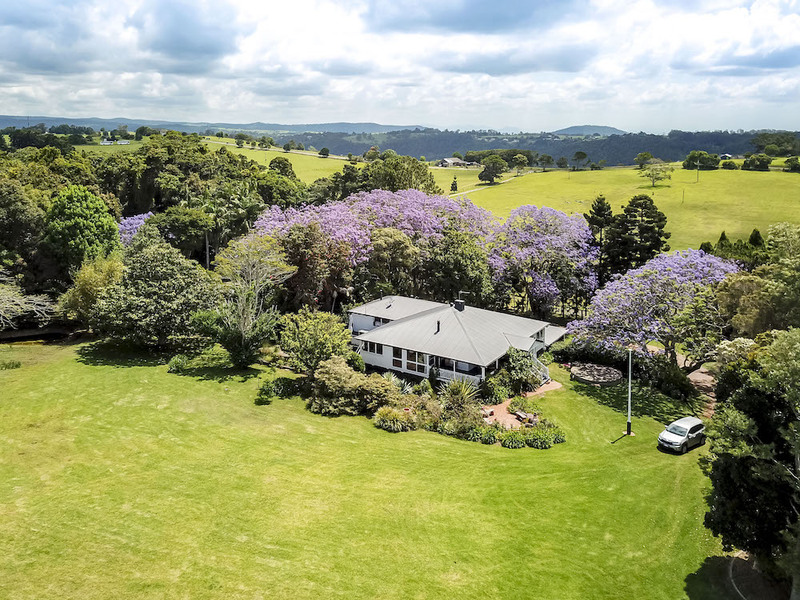 Set in the idyllic and picturesque Gold Coast Hinterland within the foothills of Tamborine Mountain, Riverwood Estate is a private retreat licensed to host up to 100 guests. The stunning and exclusive estate only hosts 15 weddings a year and is proudly pet-friendly, so fur babies can attend your wedding too! Royston House is the perfect location for those looking for a country style wedding. 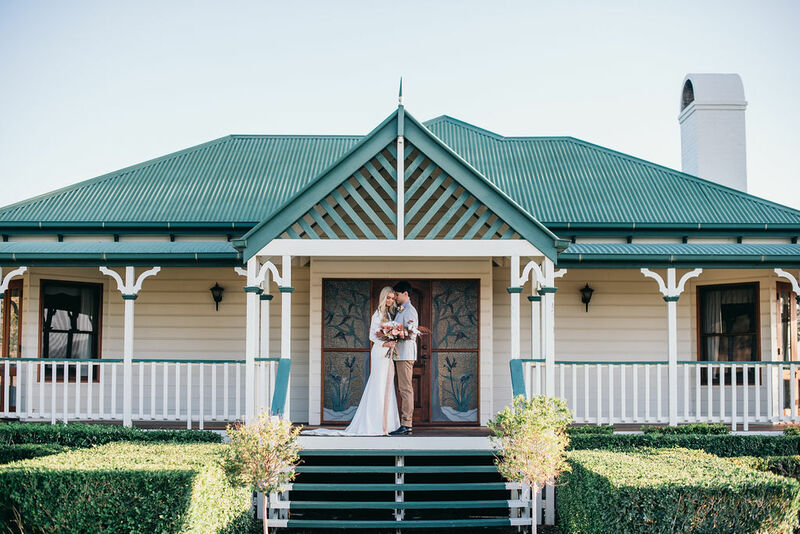 This large Queenslander style home with high ceilings throughout and a full wrap-around veranda provides a blank canvas where you are able to customise nearly every aspect of your wedding day. This venue provides accommodation for 12 guests, onsite glamping and BYO alcohol, allowing flexibility in your wedding planning! The traditional wedding catering style, plated menus normally consist of entree, mains and dessert served alternative drop by the waitstaff. 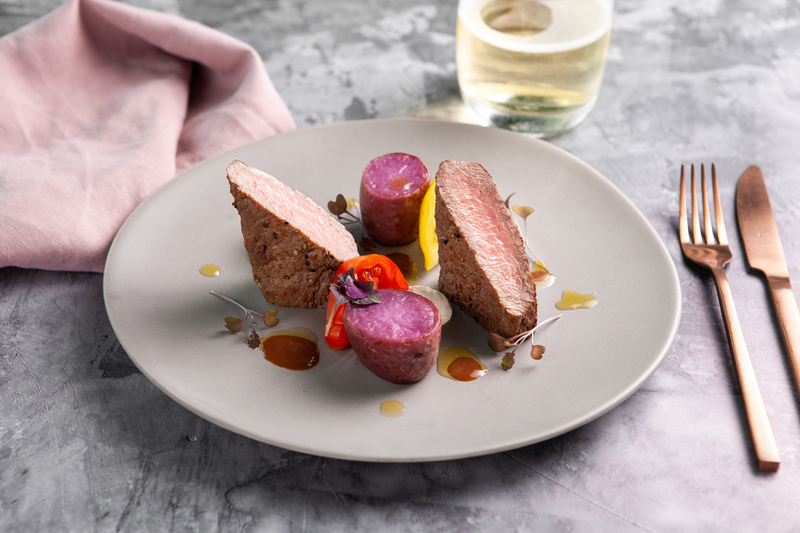 The Cuisine on Cue plated menu features a variety of different options, from slow cooked pork belly, muscat grape, fennel, pear and chives to grilled darling downs eye fillet served with Jerusalem artichoke puree, celeriac gratin, broccolini and muscat jus. The more social option, share plates are a great way to encourage guests to interact with each other and work as an excellent ice breaker. 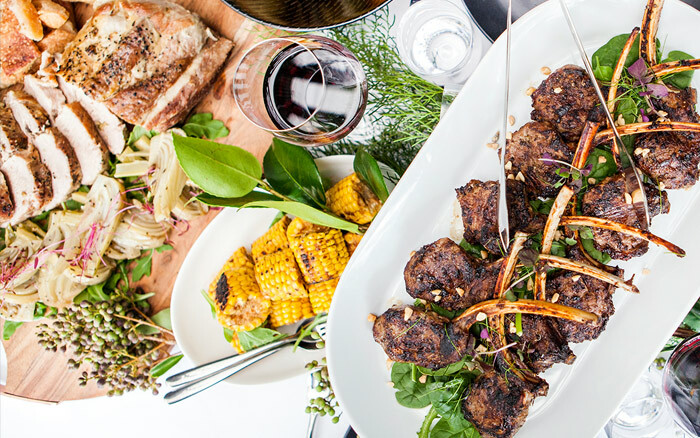 While the food still emanates the elegance and style one would expect at an engagement party or wedding, it also adds a little rustic energy into the mix. 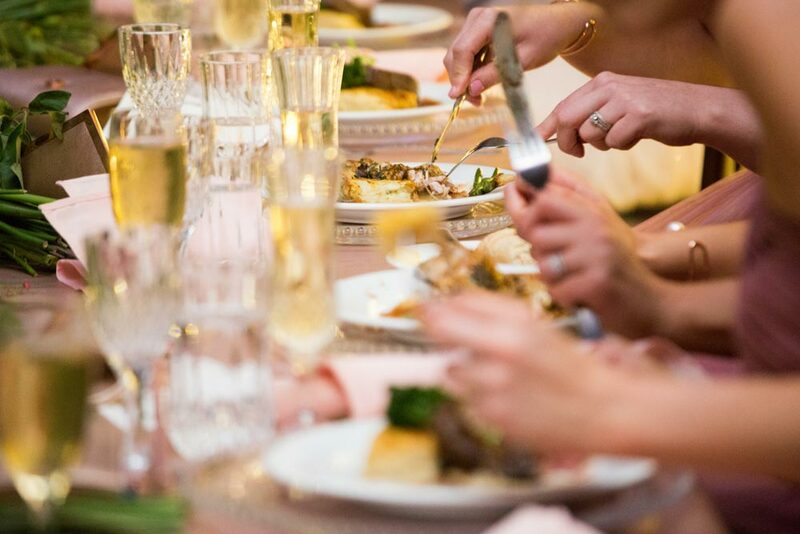 Guests are invited into a fun, social experience that wouldn’t normally occur during a plated dinner. 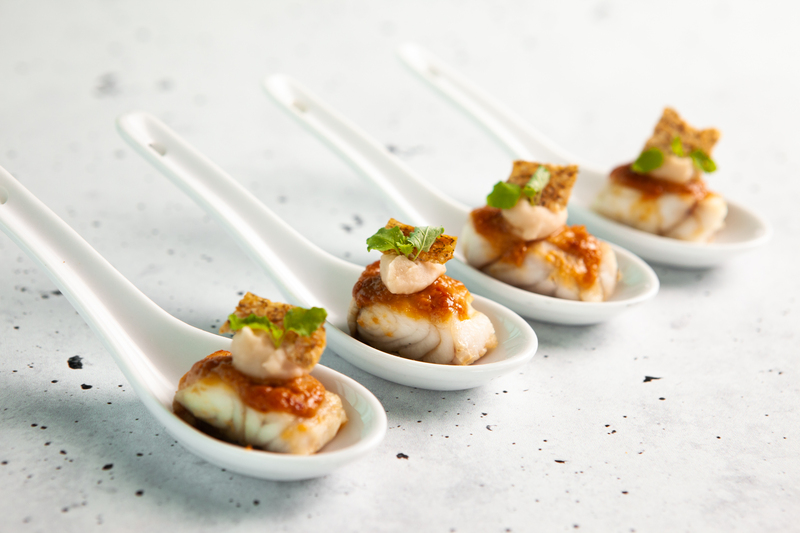 A cocktail-style wedding is great for the more casual wedding, guests are treated to a number of different roaming dishes throughout the evening. Options can vary widely, but popular dishes are Mooloolaba king prawn and capers served with lime segments and soda bread, and pickled pork, butternut pumpkin puree, marmalade and walnut. From unveiling exclusive spaces, tasting local menus, and discovering refined wine and stunning photo locations, Scenic Rim Bride is the ultimate guide for Scenic Rim weddings.